The COMISS Network (Commission on Ministry in Specialized Settings), met in Alexandria, VA, Sunday and Monday, January 13 & 14. 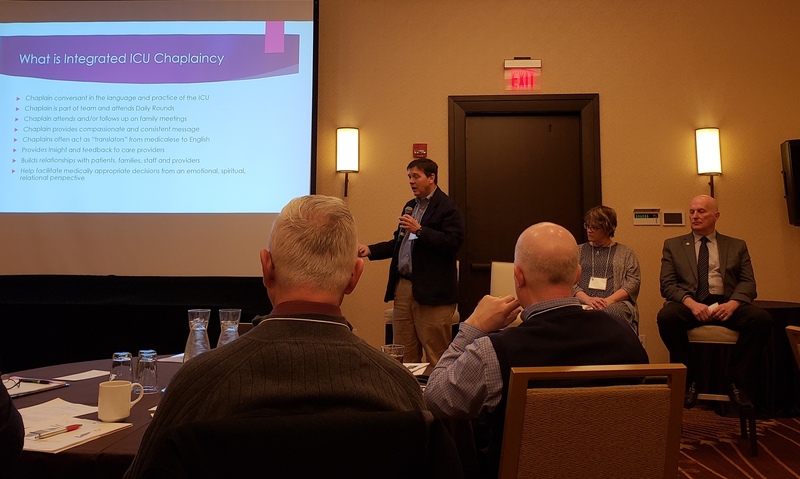 Over 50 organizations (endorsers, credentialing bodies, organizations that employ chaplains, and academic institutions) have representatives attending this annual gathering. The OCA has been a member since 2005. Archpriest Steven Voytovich currently serves as a Member-at-large on the COMISS leadership team. 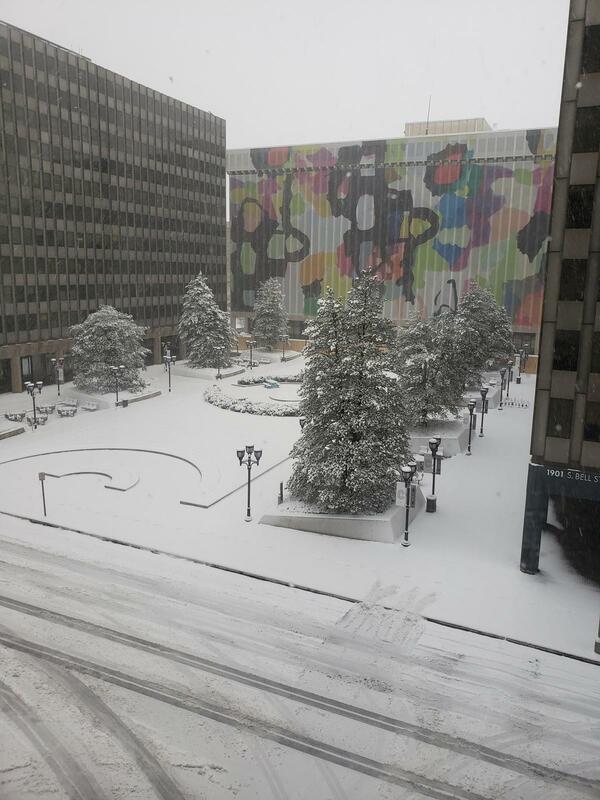 This year's gathering took place amidst the snow storm that traveled across the country, dropping quite a bit of snow in the metro area. A focal point of COMISS gatherings each year are the presentations about developments in the greater pastoral care and counseling community. 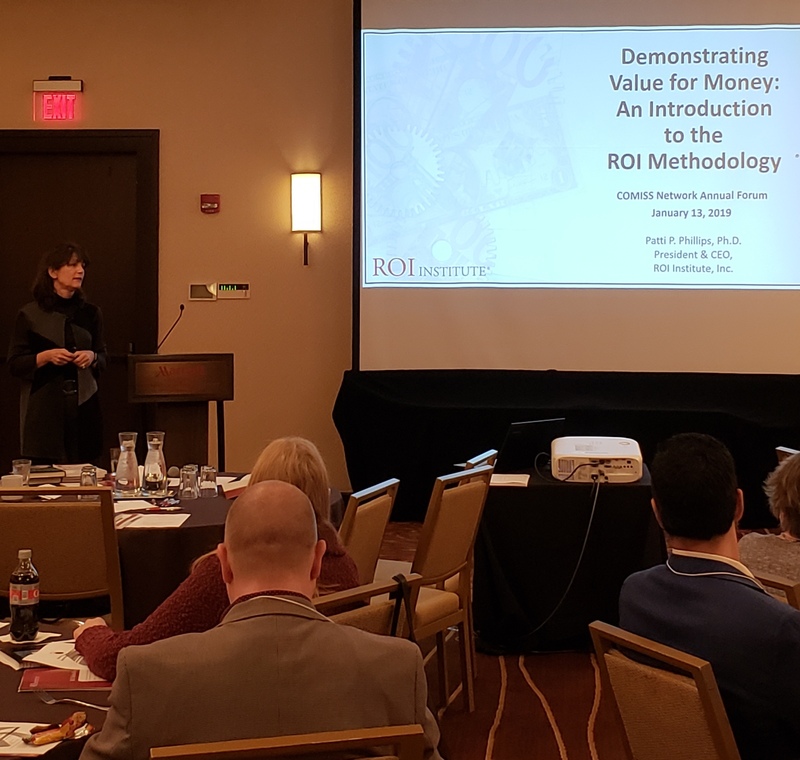 This year's COMISS theme was: "Return on Investment (ROI) and Research: Tools for Advancing the Practice of Chaplaincy". Patti Phillips, PhD, is the wife of Jack Phillips, who worked on developing "Return on Investment" (ROI) over decades. Now a husband and wife partnership working wiht ROI, Dr. Patti Phillips presented on ROI during Sunday morning's session. Later, in the afternoon a panel of presenters spoke of their initiatives related to ROI. Chaplains Doug Stewart (featured standing in the second photo) and Lynn Burgess, and Brigadier General Charles Ray Bailey (24th Deputy Chief of Chaplains of the United States Army from 2011 to 2015), shared their interactions with ROI. Put simply, ROI is a way of communicating the value of chaplaincy, in language better understood by administrative roles in caregiving institutions. This theory is applicable in many contexts. General Bailey spoke about researching what our country may look like 20 years in the future, asking the question of how the church needs to be prepared for that cultural future.